« From Poverty to Prosperity in Bangladesh using Vision, Commitment and Action! 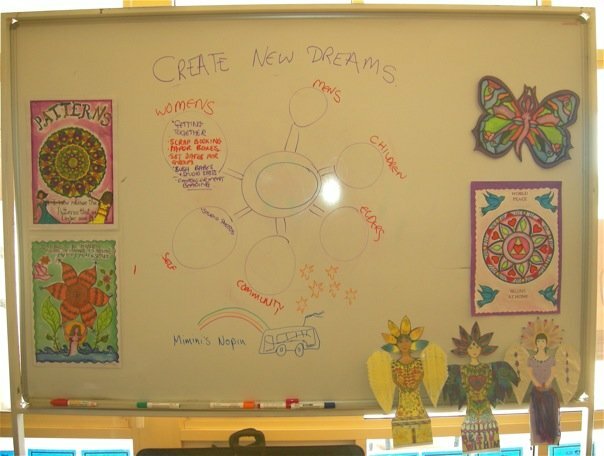 Families Creating. Growing and Flourishing Together. 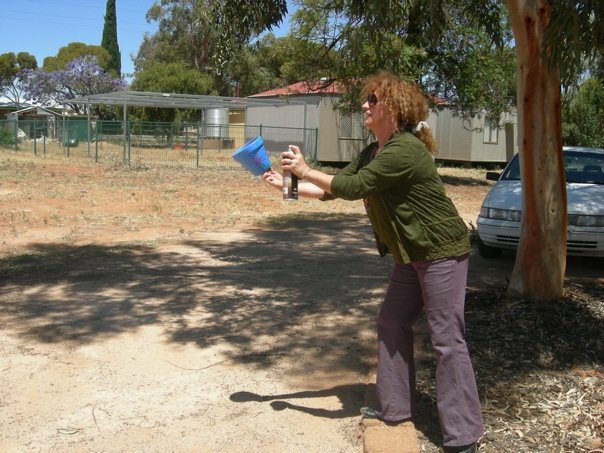 We had a wonderful weekend camp, thanks to the women who came from two Communities to join us in the Riverland. 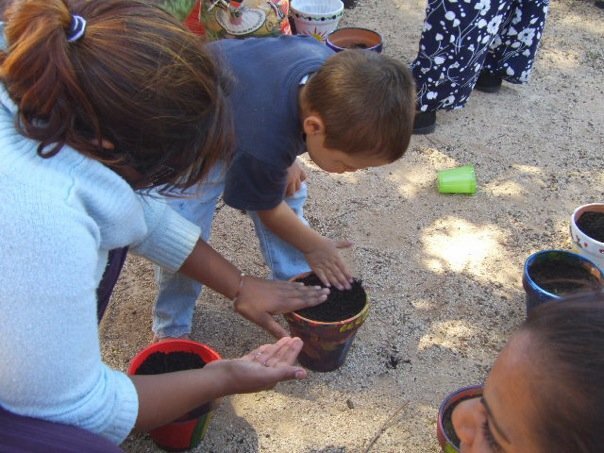 Along with the Mandala art and making clay beads, we work-shopped the Vision for the Womens groups and then painted terra cotta pots and planted the Sunflower seeds that will grow along with the new changes. Thankyou to the women for allowing us to photograph the art work and capture the many wonderful moments where Nanas and great grandchildren, Elders and younger women sat and enjoyed the creative processes together. What better way to spend a weekend in the Riverland sun in Ngarrindjeri country? 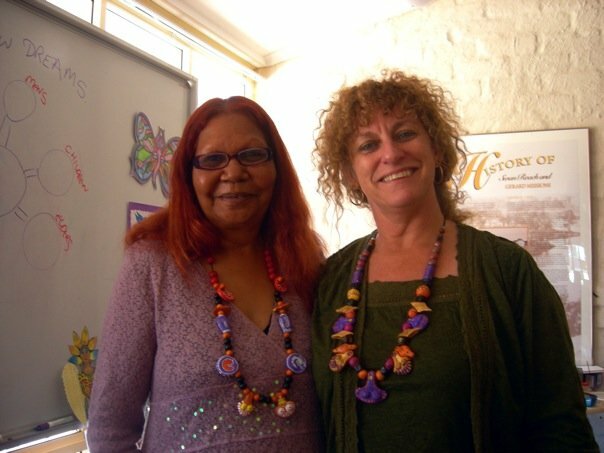 Deanna Nungala and I feel very privileged to have been invited to host the Celeberating our Community ART of Change camp and look forward to our Miminis Nopin ventures when we can return the gifting by visiting the women and seeing how the sunflowers have grown. Miminis Nopin – Women on the Move. 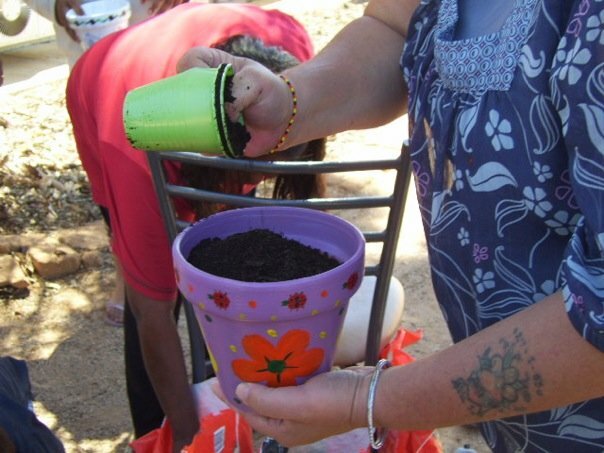 Women overcoming the pain of the past and seeding the Vision for the Future. 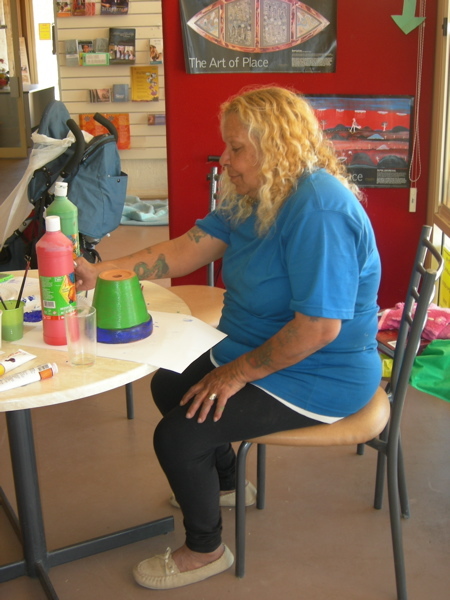 Art based activities that young and old can enjoy together. Deanna and I wearing the clay necklaces we made during the Apology week, to honor the Mothers whose children were stolen from them. 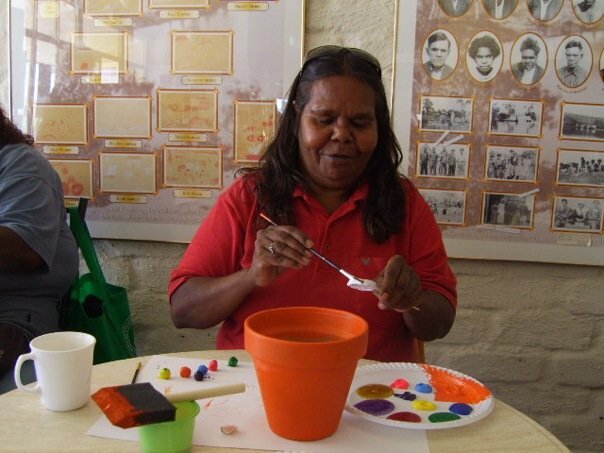 Nungala is a Stolen Generation survivor and a Warrior Woman of the heart in the truest sense. Painting the clay beads they have rolled earlier in the day is wonderful for concentration for the little kids and fun~creativity for all ages. 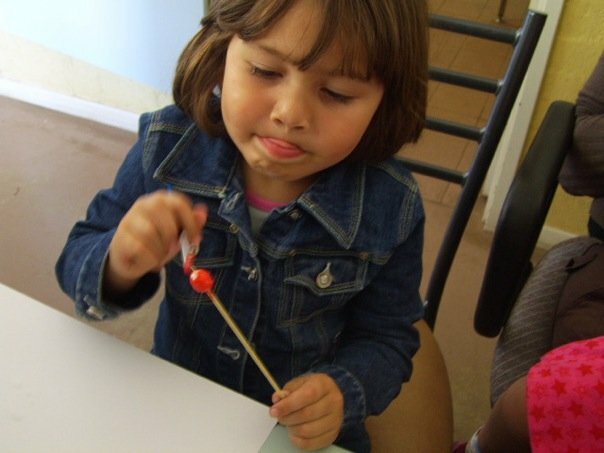 Little sister can create and paint her own beads too! 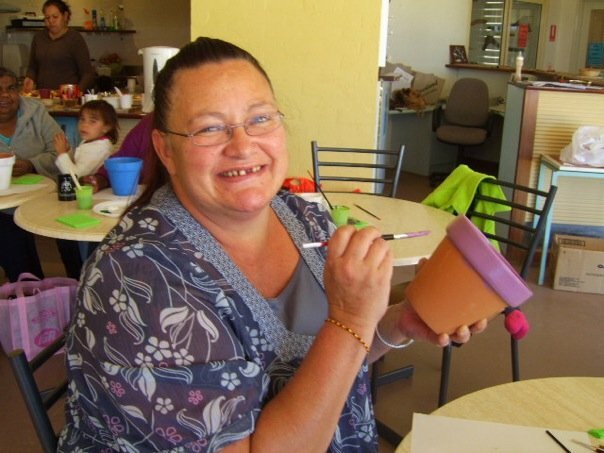 This pot-painter will seed some fantastic changes for her Community over the coming years. The gorgeous smile that lights up rooms and hearts. 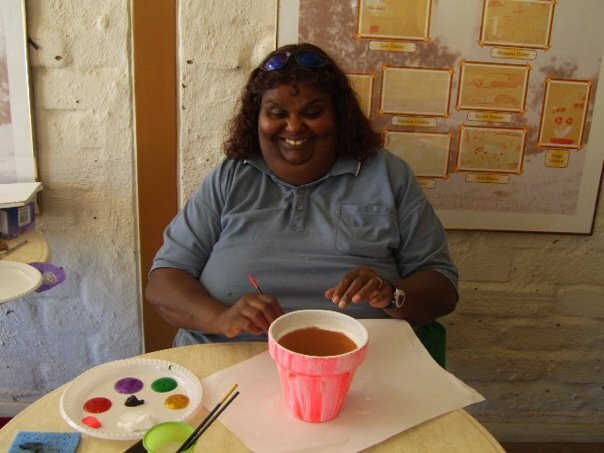 Our Chef extraordinaire took time out from her delicious food-making to paint a pot of her own. Lady birds for good luck turned up on the top of this artists work. Mother and Daughter creating together. They have a vegie garden at home and the new Sunflowers might fill that garden one day! One single seed births the seeds of many new flowers over one single season. 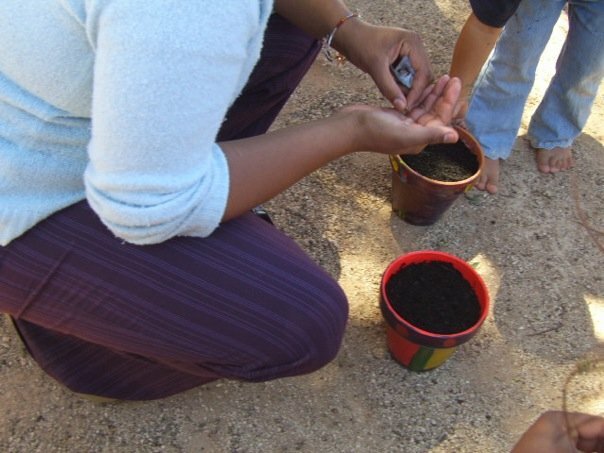 Seeding the Vision is a journey of process, attention, watering and patience. All pots are sealed with varnish and the forward lean, with head titled upward is a spraying skill. 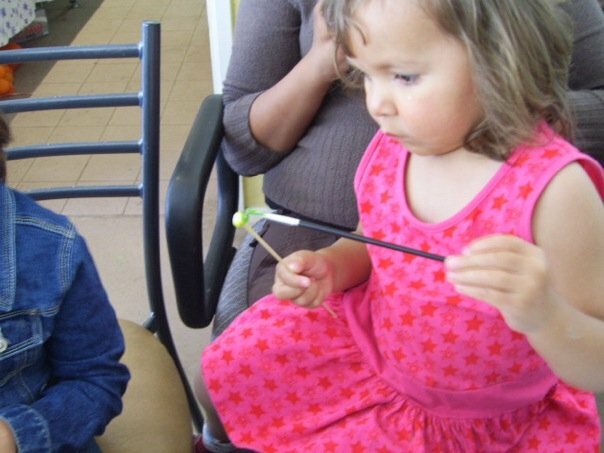 This entry was posted on March 20, 2017 at 10.34	and is filed under Art, Australia, Beauty, Change, Community, Creativity, Dreaming, Elders, Fun, Grandmothers, Imagination, Joy, Magic, Ngarrindjeri, Prosperity, Sisterhood, Social Artistry, Warrior Women, Women. You can follow any responses to this entry through the RSS 2.0 feed. You can leave a response, or trackback from your own site. I love that you are involved in these very important efforts to heal, instill pride and empower the Aboriginal people in their identity! Love this work can’t wait til you come to Kingscote. Have got Daas clay at home just waiting to get the right message and motivation to start, to scroll through your work has given me the motivation to get started. Thanks Carol. Carol, you are so positive and inspirational. Thks for sharing yr photos. I feel very privileged to see you sharing so unconditionally. Keep up the good work.